Join Our Active Retirement Community! 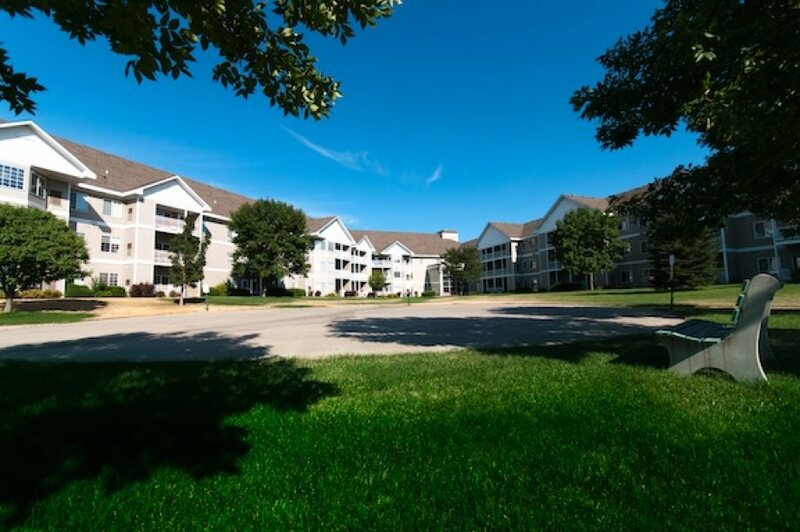 Trail Ridge is a Christian retirement community conveniently located in southwestern Sioux Falls, South Dakota — close to the many cultural, recreational and social opportunities the city has to offer. Our campus is tucked securely on 18 beautiful acres overlooking the city, and offers independent living, assisted living and memory care. The hassles of shoveling snow, raking leaves and home maintenance will be a thing of the past when you choose to join our community! Trail Ridge residents enjoy the comforts of our spacious independent living apartment homes with views of sunsets and city lights. or feel the sense of security that comes with knowing a full complement of services are available in our assisted living apartments or memory care center. Beautifully appointed apartment homes, common areas, lively craft and game rooms, elegant dining rooms and landscaped gardens can all be found within our senior living community. Experience a warm, inviting setting to relax and enjoy conversation with family and friends. Trail Ridge residents also have the opportunity to enhance their physical, intellectual, social, emotional and spiritual wellness through a variety of programs and entertainment options throughout the year. At Trail Ridge, our mission is to create healthy Christian communities that empower older adults. We provide choices for housing, services, and technology that enrich body, mind and spirit. Trail Ridge is a faith-based senior living community dedicated to understanding and serving the needs and desires of its residents by providing quality services, distinctive amenities, enriching programs and compassionate care to complement their lifestyles and enhance their well-being. At Trail Ridge, each resident is provided with the support and accommodations they need to enjoy our many campus amenities. 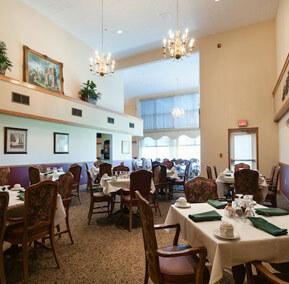 Our dining room offers restaurant-style dining. Daily menu lists several choices of freshly prepared entrees and sides.